On Monday (June 25), the Food and Drug Administration (FDA) made history by approving the United States’ first cannabis-based prescription drug. 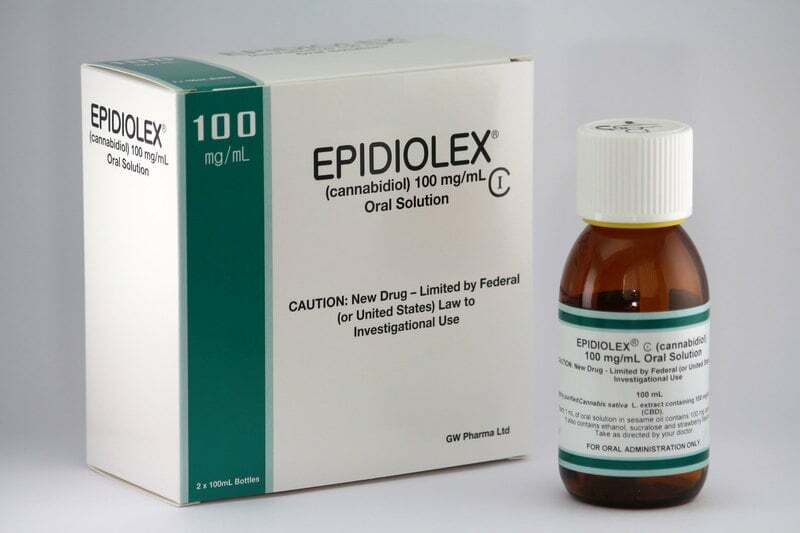 Epidiolex, which is produced by the United Kingdom-based company GW Pharmaceuticals, is intended to treat two forms of rare childhood epilepsy, Lennox-Gastaut syndrome and Dravet syndrome. The drug is made from a purified form of cannabidiol (CBD), a cannabis compound that doesn’t have any psychoactive properties and therefore does not get users high. Research has shown that CBD has the potential to treat seizure conditions, like Dravet syndrome. One 2015 study found that after three months of taking Epidiolex roughly 45% of patients saw a reduction in seizures. GW Pharmaceuticals has monitored Epidiolex’ effects on over 500 children and adults who are afflicted with seizure conditions that are difficult to treat using traditional medications for epilepsy. More research is still necessary for medical professionals to draw any firm conclusions about CBD’s potential to treat seizure conditions. However, the FDA has found that Epidiolex, when combined with other medications for epilepsy, does reduce seizures. Patients are concerned that changes to state laws to allow for the first cannabis-derived medication in pharmacies could limit their access to cannabis medicine at dispensaries. On Monday (June 25), the U.S. Food and Drug Administration announced their decision to approve the country’s first cannabis-derived drug. The drug, Epidiolex, comes from CBD and is designed to treat two rare forms of child epilepsy. It’s made by UK-based company GW Pharmaceuticals. Currently, some state laws prevent any cannabis-derived drug from being sold in pharmacies. Last year, one of GW Pharmaceuticals’ affiliated companies, Greenwich Biosciences, began a lobbying campaign to change that. But it could end up changing state laws in such a way that all CBD products must get FDA approval before they’re sold. Families, interviewed by the Associated Press, are upset by this prospect as many of them have already found CBD products that work for their epileptic children and don’t want to switch over to Epidiolex. GW Pharmaceuticals says it is not their intention to shut out other marijuana products and that they only want to make sure their medicine is accessible. FDA approvals, however, can require a long, complicated review process, making the approval of Epidiolex a historic one. A growing body of research suggests that medical cannabis products like CBD oil can be an effective treatment for reducing seizures among patients with childhood epilepsy. Last year, the American Epilepsy Society (AES) found that CBD was effective in reducing the number of seizures that epileptic patients suffer as well as their severity. The same year, another study was published in the New England Journal of Medicine, which found that patients with Dravet syndrome experienced 40% fewer seizures after being treated with CBD oil. One systematic review of available research also concluded that medical cannabis does in fact show promise in treating childhood epilepsy. While more research is needed on the ability of medical cannabis products to treat epilepsy, the anecdotal evidence is certainly convincing. In one case, a young boy from Northern Ireland successfully made it an entire year without experiencing a seizure after he began taking high-CBD cannabis oil. Earlier this year, a six-year-old girl with intractable epilepsy who uses CBD oil became Texas’ very first medical cannabis patient. Right now, concerns about how Epidiolex could affect access to other, non-FDA approved cannabis medications are hypothetical. It’s yet to be seen whether these concerns will come to fruition.